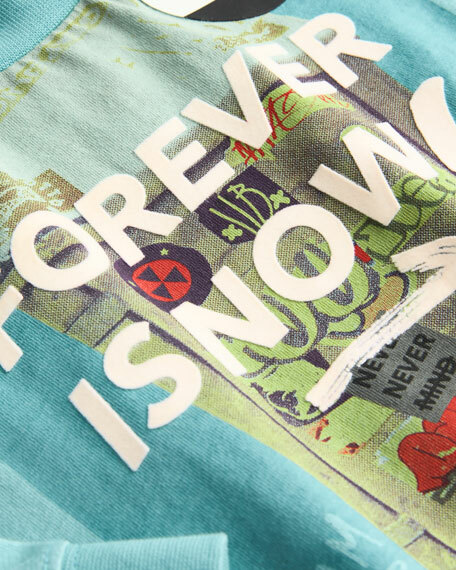 Burberry "Forever is Now" graphic shirt. 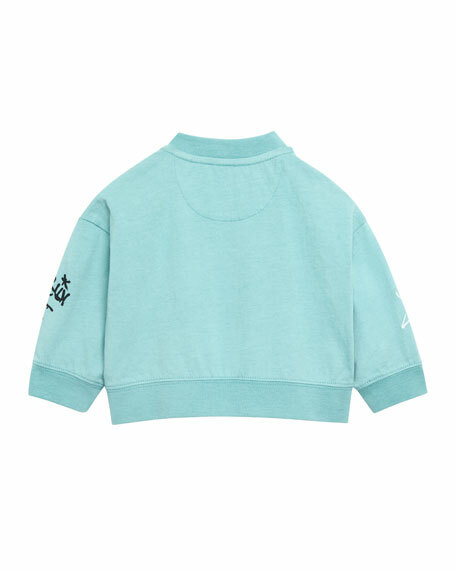 Crew neckline; button at left shoulder. Long sleeves with drop shoulders. For in-store inquiries, use sku #2658304.